Wise words indeed, Mr. Twain. Couldn’t have put it better myself!! 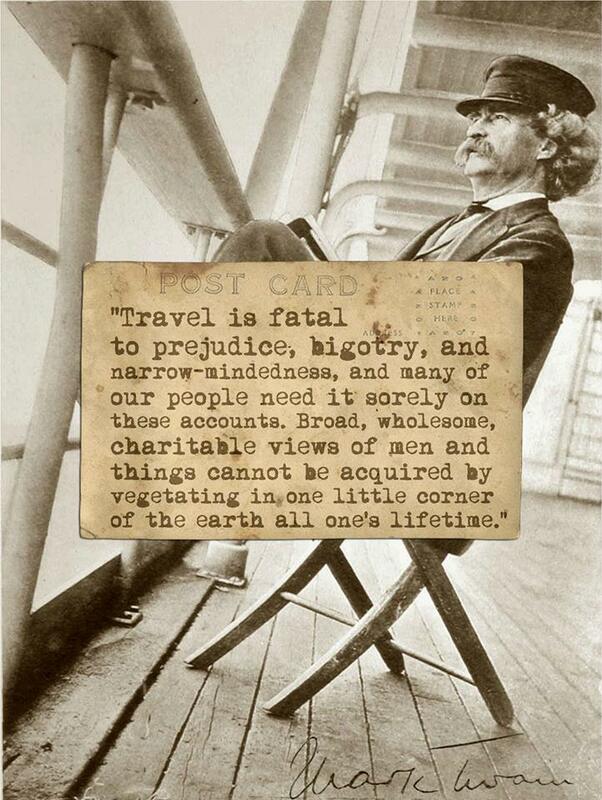 What are your favorite travel and philosophy quotes? hey steve, i love that we both love mr. twain. here’s one of my favorite philosophical quotes, “One cannot step twice in the same river.” – Heraclitus (ca. 540 – ca. 480 BCE) life is organic and we too are changing and evolving every second of every day. That’s such a good quote, love it, and so very true. Gonna borrow it, too. Yes, organic and evolving. Cheers. Did you go to Mark Twain’s house when you and Leslie drove through Angels Camp?